This statistic depicts the percentage of mothers worldwide who had select reflections about their cesarean section delivery as of 2017. 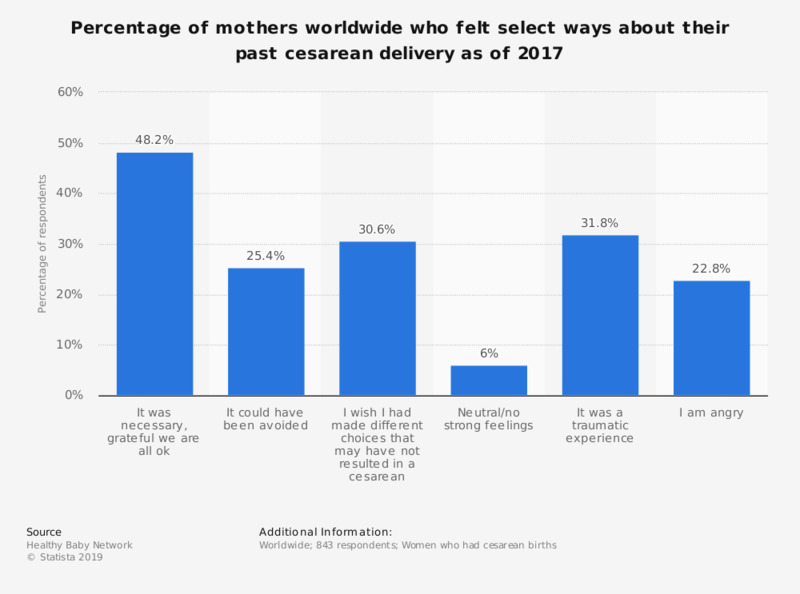 According to the responses, 48.2 percent of mothers said the cesarean was necessary and they were grateful they were all okay. Question 10: "How do you feel now about your cesarean section?"